One of the most important things that I have learned as a Real Estate Investor is risk mitigation. One of the ways to mitigate risk, both tenant related vs external, is to maintain proper insurance. When you are financing a rental property, a conventional lender, if not all, will require that you maintain a certain level of insurance to protect their loan. However, even cash investors should consider purchasing adequate insurance as it will be an additional line of defense between you and the liability. Also known as the "fair market value", is what an insurance company would consider the replacement cost of the property - depreciation. It represents the actual dollar amount you would expect to receive for the item if you were to sell it on the market. Actual cash value policies are typically cheaper than its counterpart, replacement costs, however you may be placed in a tricky situation when trying to rebuild from a covered peril, such as fire damage, as it may cost significantly more to reconstruct a home than what you would be receiving from the insurance company after depreciation. This type of insurance may be beneficial for investors who are purchasing homes at a significant discount (e.g. $32/sq ft) but replacement cost at current market rates to rebuild may be $80/sq ft. In these situations, it may behoove the investor to cut their losses and take a cheaper policy, knowing that they will not be able to rebuild in case of major damages. Replacement cost insurance means that you are insuring the property for the amount to rebuild the property like new. In a situation where you have a total loss (e.g. fire burned down your building), your insurance provider will cut you a check to repair or rebuild the property. It is considered to be superior to the ACV as it puts the owner back into the same position prior to the covered peril. Typically, the replacement cost coverage is based on a formula on the sq footage of your home, location, and type of home, and can be adjusted by the investor to increase coverage based on the condition of the property. However, note that some insurance policies include a cap to the amount of replacement cost coverage, so be sure to check with your insurance broker. Although the premiums may be slightly higher than ACV, RCV policies provide enhanced coverage for the average real estate investor. 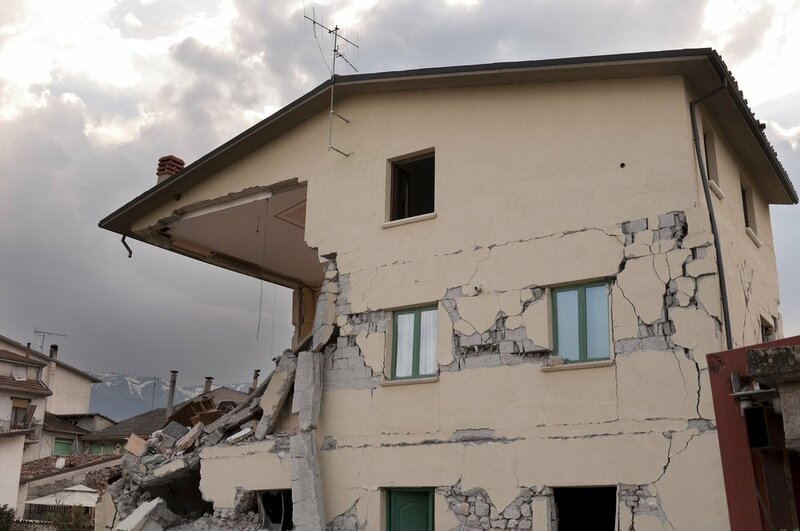 Similar to homeowners insurance, rental property insurance covers physical damage to your dwelling, meaning damage to the structure of the home or apartment itself. For example, it will cover damage to your your walls and your roof, but not personal items of your tenant. Coverage will only extend to damage caused by a covered peril, and you should make sure to understand what type of perils, such as fire or lightning damage, are covered by your particular policy. Liability and medical coverage will protect you from the legal and medical costs associated with someone being injured on your rental property. If your tenant or a visitor is injured on your property, and you are deemed responsible for the injury, rental property insurance can cover these costs up to your policy limits. If you're someone for whom the limits of this coverage are not sufficient to cover potential liabilities and you wish to increase your coverage, you could also purchase umbrella insurance for your rental property. Loss of rents coverage provides protection against lost rent payments if the property you rent is uninhabitable due to a covered peril. For example, If the tenant is forced to move out as a result of a covered peril, a fire burns down the kitchen and living room and the tenant physically can’t inhabit their property, the insurance company would pay the monthly rent until the home is reconstructed back to a habitable condition. Coverage will generally extend up to a defined period of time, such as 12 months. Loss of rental income does not always come standard with rental property insurance, so you should check your policy before purchasing it if this type of coverage is important to you. Personal Property coverage provides protection against the loss of damages or theft to your personal property inside the home and vehicle. Building Ordinance/Law, Loss of Rents, Fire & Lightning, Vandalism & Malicious Mischief, Falling Objects, Weight of Ice, Snow, or Sleet, Theft, Windstorm or Hail, Mold, Power Failure, Water Damage (Sewers/Drains), Earthquakes. Whichever method you decide to pursue, make sure that you are getting adequate coverage to protect your interests in the property. Although we hope for the best, insurance is there to protect us when unforeseen damages or liability occur.